If you want to know more about skateboarding tricks, a new book by two-time world champion skateboarder Per Welinder, in collaboration with Bryce Kanights and Peter Whitley is bringing you the techniques and tricks used by the pros. Per Welinder (born April 17, 1962), is a Swedish professional skateboarder and was the only skater to have ever beaten Rodney Mullen in a contest. 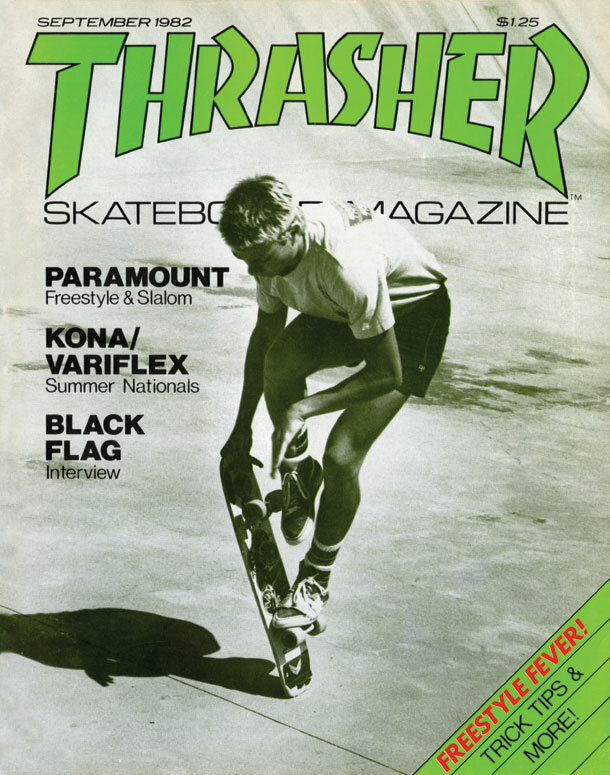 In the 1980s, Welinder and Mullen were competitors in freestyle skateboarding, and Welinder regularly placed 2nd to Mullen's 1st. At a 1983 contest, Mullen skated uncharacteristically off and Welinder won. Mullen retired for a year and was soon allowed to return to the scene, overshadowing Welinder and all the other freestylers, but Welinder consistently was the second most popular freestyler in skateboarding. In addition to his freestyle board model, Welinder also had a street model (which was unusual for a freestyler) and this board - with its well-regarded graphic and long nose - was one of the most popular among skateboarders for a few years. This was followed by an unusual, hybrid model of his in 1990 called the "Nordic Sperm", which also sold relatively well. Welinder was featured prominently in the Bones Brigade videos "The Bones Brigade Video Show", "Future Primitive", and "Ban This". In January, 1992, he left Powell Peralta to start a new skateboard company, Birdhouse Projects, with fellow team member Tony Hawk as his partner and main attraction. As Tony Hawk began to achieve superstardom when skateboarding's popularity increased in the mid-1990s, Welinder became a very wealthy man. In Welinder’s new book, Welinder and Whitley provide in-depth coverage of skateboarding equipment, including how to select the components that work best for you and how to build and tune a board that fits your individual riding style. Packed with 88 tricks, this full-color guide is the only resource you’ll need to pull off all the moves you’ve dreamed of doing. 1. No whining, excuses, or bragging: Some people try to fit in with big talk about skating, which just doesn't work. "Nobody wants to hear someone going on about the tricks they used to be able to do or why they can't do them anymore," says Welinder. "Instead, do the tricks you know or try the tricks you want to learn. Ask for advice if you are having a hard time, and relax." He also stresses that the only thing worse than skateboarders talking about the tricks they can do is talking about the tricks their friends, who happen to not be there, can do. 2. Have fun no matter what your skill level: Fun is contagious, and when skateboarders are happy to be at the park, people will enjoy skating with them. Welinder believes someone's character as a skater is largely determined by how they handle their own failed attempts. "Getting bent out of shape because you didn't land a challenging trick is a great way of bumming everyone out," he says. "If you want to be a part of your local skate scene, be the type of person people want to skate with: easygoing, positive, and stoked to be there." 3. Protect yourself and those around you: Welinder warns that engaging in dangerous behavior or being inconsiderate of other skaters will anger them and maybe even lead to trouble. "Shooting your board, throwing your trash around, breaking glass, making a big stink when something isn't going your way, and bullying other people are all great ways to find yourself with nobody to skate with," he comments. "Be cool, friendly, and considerate, and treat your fellow skaters and their friends with respect. In turn, they'll respect you and want you there." Welinder's experience has shown him that when skateboarding is kept fun for everyone involved, there's a good chance it will become a rewarding part of a person's life for many years to come. It also helps people develop some positive physical characteristics as they become more confident on a skateboard, such as increased leg strength, stamina, and balance. The largest health benefit of skating, however, is the cardiovascular workout it provides. "Most skaters don't care about the details of their health," he admits. "They just know that the more they skate, the better they feel, and that is enough." "Mastering Skateboarding" features more than 400 full-color photos from Bryce Kanights, whose client list includes ESPN, EA Sports, FUEL TV, Nike, and Skateboarder, TWSkateboarding, and Thrasher magazines. 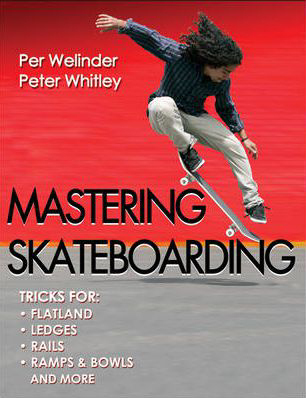 Throughout the book, Welinder and co-author Peter Whitley take an in-depth look at all the biggest tricks while providing details on techniques and equipment for riders of every level. For more information on "Mastering Skateboarding" or other skating and extreme sports resources, visit http://www.humankinetics.com.